BAF, a wholly owned subsidiary of Clean Energy Fuels Corp., staged Open House ceremonies yesterday at its new Dallas production facility to mark the company’s 20th Anniversary and the completion of its 20,000th compressed natural gas (CNG) vehicle conversion. The new 91,000-square-foot BAF headquarters site houses the company’s R&D, vehicle conversion, and service operations. Douglas R. Clark, President of the Omaha, NE Metropolitan Utilities District, officially took possession of BAF’s 20,000th CNG conversion, a dedicated Ford F-250 pickup truck for use in the District’s service fleet, at the event. Special guests at the anniversary celebration included Dallas Mayor Mike Rawlings and Clean Energy Co-Founders T. Boone Pickens and Andrew Littlefair, who serves as Clean Energy’s CEO. 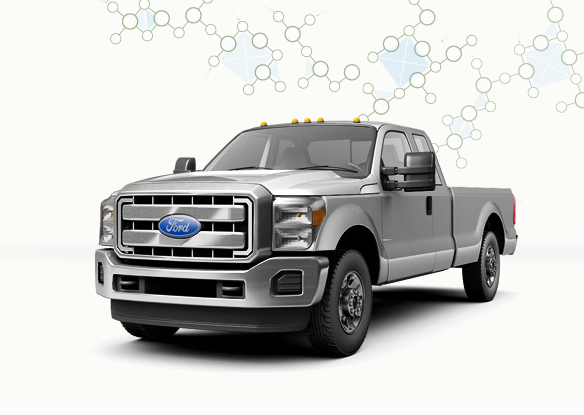 BAF is the first CNG converter recognized as a Ford Qualified Vehicle Modifier (QVM) for gaseous fuel. Further, the company uses Ford-accredited QCM (Quality Calibrations Modifier) calibrations and all vehicles converted by BAF are registered through Ford QFC (Quality Fleet Care) for all warranty and service work through Ford dealerships. BAF also takes the extra step of crash testing its light-duty vehicle products to achieve federal compliance. It has a network of 65 dealers across the country certified to install BAF’s CNG conversions. Currently priced up to $1.50 or more per gallon lower than diesel or gasoline (depending upon local markets), the use of natural gas fuels reduces greenhouse gas emissions up to 30% in light-duty vehicles. BAF’s alternative fuel vehicle up-fitting capabilities include aftermarket compressed natural gas (CNG) conversions of Ford-manufactured vans, cutaway shuttles, taxis, pick-ups and light-duty trucks.